Pregnant mothers are provided with nutritional supplements and the support of a Resource Mother. Prenatal education, hospital tours, breastfeeding support and nutritional information are included in the Healthy Baby Club. 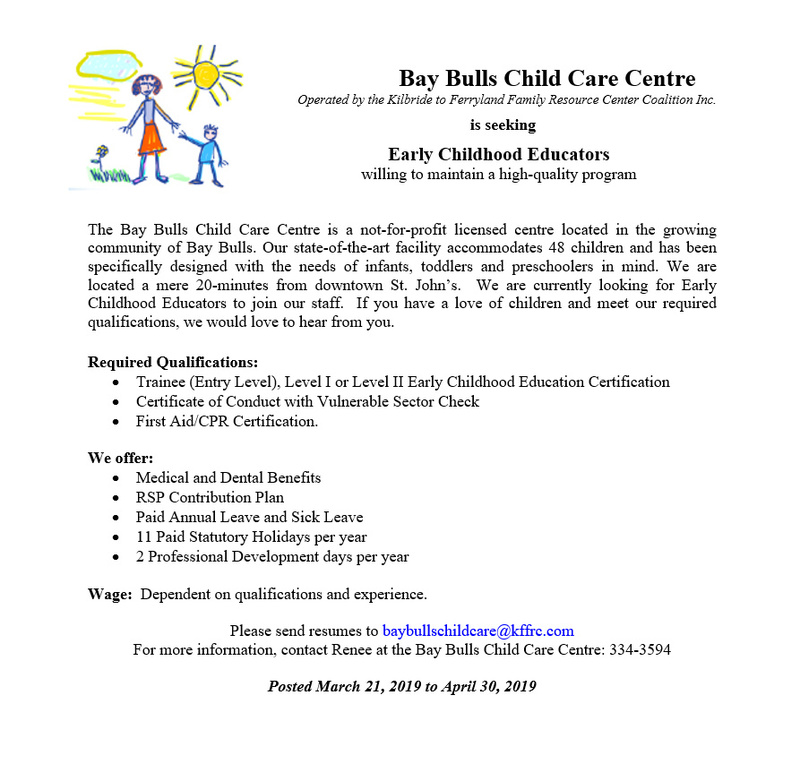 Assistance with child care and transportation may be provided if needed. Healthy Baby Clubs are offered through our Family Resource Centers in Kilbride, Goulds, Bay Bulls and Ferryland. For more information , please call 747-8532 for the Kilbride area, 747-8530 for Goulds area, and 334-3594 ext. 1 for the Southern Shore area. This is an informal support group for parents and/or caregivers and their children 0-12 months. Parents and/or caregivers and children can come together to chat and play in a comfortable environment where you can ask questions and get advice from other parents. Information sessions a a variety of topics such as safety, making your own baby food, the importance of play, and infant massage are also included on occasion. This support if also offered on a one-on-one basis through our Healthy Baby Club. We also offer a Breastfeeding Support Group at the Bay Bulls location, in conjunction with a Public Health Nurse to assist with any questions of a medical nature you may have.